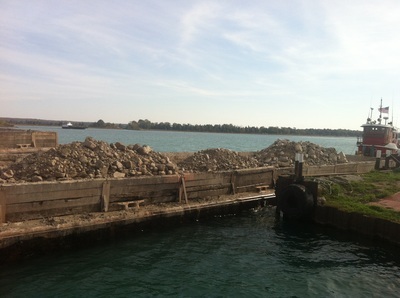 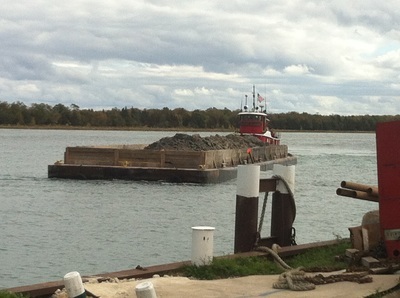 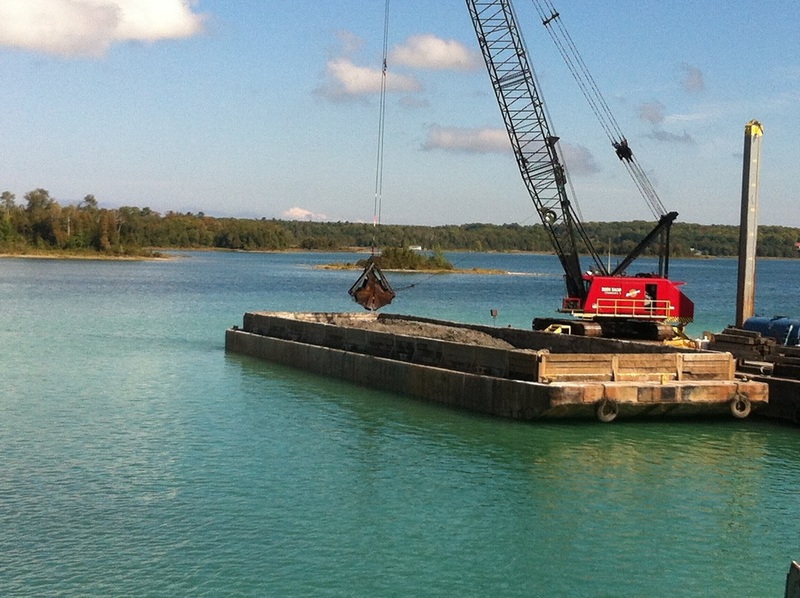 With lake levels nearing record lows, Roen Salvage Company was contracted to deepen and widen Washington Island's entire Detroit Harbor entrance channel in order to maintain car ferry service to the island. 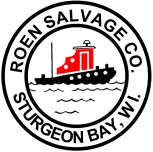 Due to the uncertain composition of the virgin soil within the dredge cuts, Roen mobilized both a crane and an excavator on the dredge plant. 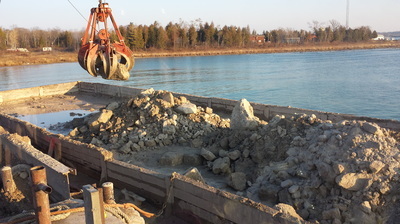 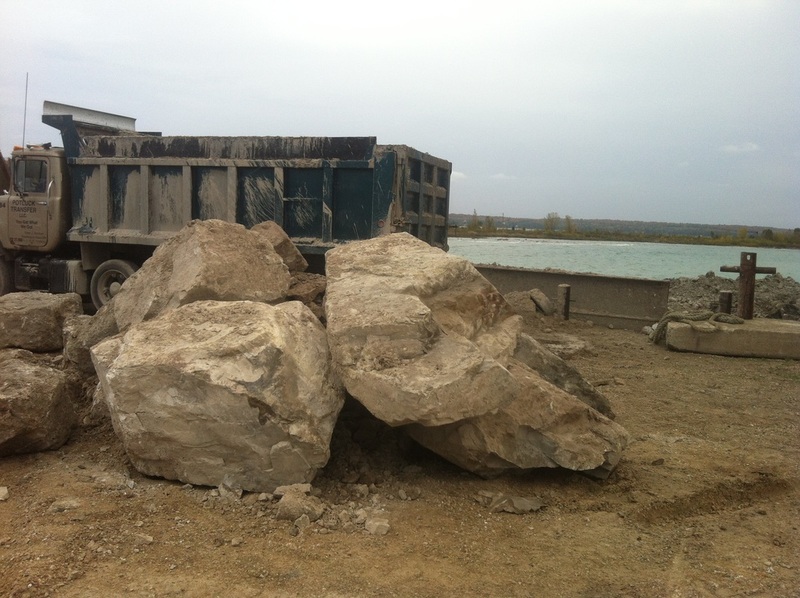 Both were necessary to complete the project, as many boulders exceeding 2 tons were excavated throughout the dredge area. The crane's clamshell bucket was utilized to dredge the finer material within the turning basin, but the excavator was required to complete most of the work. 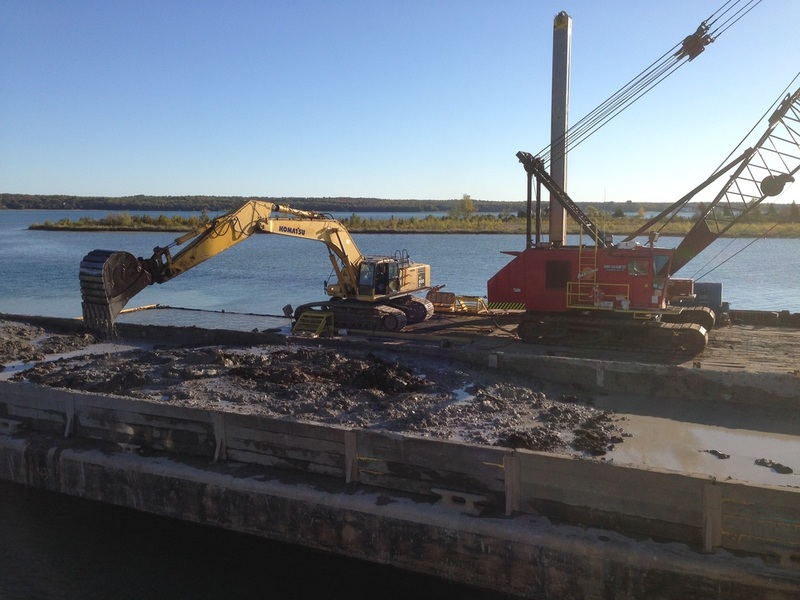 All dredging was performed within a turbidity curtain. 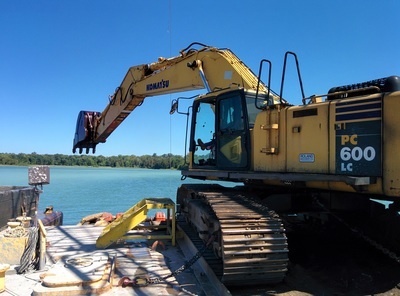 The project team was presented a WEDA (Western Dredging Association) Environmental Excellence award at the annual WEDA Summit and Expo in Houston, Texas. 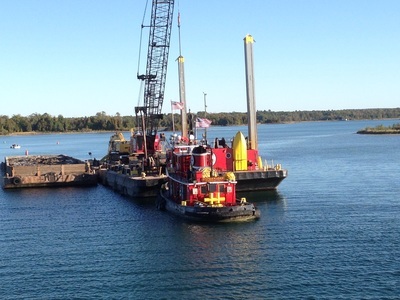 The awards are given annually to the most innovative dredging projects that effectively incorporate stakeholder outreach and creat notable environmental and economic benefits.